I have been listening to audios leaked out of PF Whatsapp groups. The faithful have been reacting to the party’s loss of the Roan bye election yesterday, to NDC. 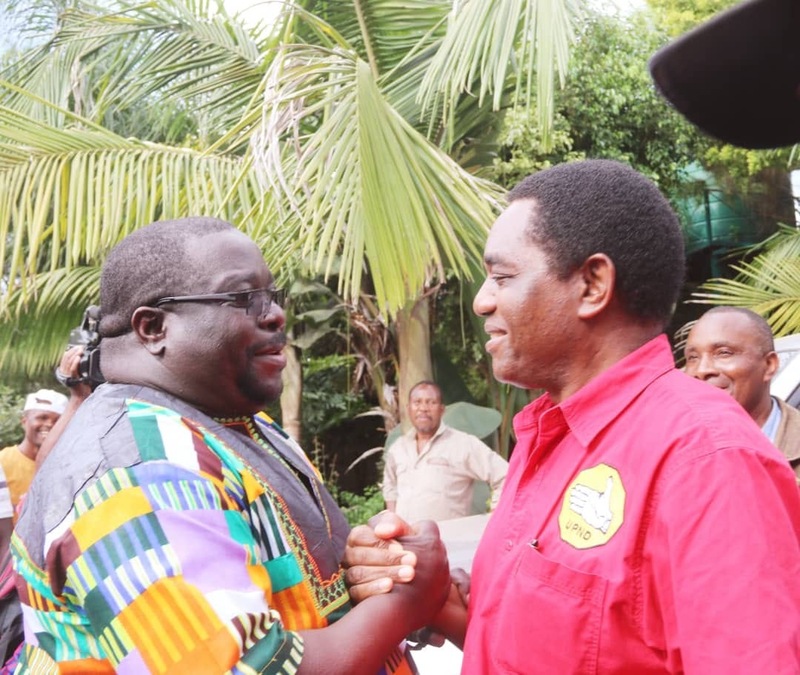 It seems the consesus among the party rank and file is that the PF should woo Chishimba Kambwili back to the fold – reconciliation is the term they use. The thing is Mr Kambwili has, via his proxy candidate, delivered PF’s most significant defeat since they took office in 2011. In that defeat, their biggest fear has been shown as possible – loss of support in their holy grail, the Copperbelt. The bigger fear though has to be the fledgling alliance between NDC and PF’s nemesis, the UPND, a cooperation that worked well in the Luanshya win. PF has very good reason to want that alliance destroyed quickly and completely and the reason is 2021. A simple analysis of our current politics will suggest that, with the obtaining permutations, there is no path to the presidency for the PF without both Lusaka and the Copperbelt in the bag. My long held view is that for HH to win the Presidency, all he has to do is hold firmly onto all the provinces that voted for him in 2016 and then add either Lusaka or Copperbelt or a significant part of each. That’s where an alliance between NDC and UPND becomes worrying for PF. As things stand, HH is still very popular in the South, West and North- West. He also has made significant inroads elsewhere. On his own though, victory is possible but not guaranteed. Enter Kambwili and his possible sway of the Copperbelt and the picture changes entirely. Already HH has a much grown support on the Copperbelt. Add the campaign machine called Kambwili and PF is on the backfoot. All that said, I would suggest to the PF (as I have done before) that the big problem they sit with right now is not HH, Kambwili or the possibility of a mutually beneficial business deal between them or any other opposition actors. PF’s headache rather is Edgar Lungu. This President has two major handicaps going towards 2021. The first is his inept presidency that has toughened life for everyday Zambians. Zambia is worse off for having elected Edgar and that truth is felt most in citizen’s pockets. Explaining away hungry stomachs, unpaid salaries and children out of school will take up much 2021 time for the PF if they are trying to convince voters to re-elect the person responsible for the pain. Then there is the problem that EL lacks a personal constituency to offer a campaign. That means he has to continually be carried into major elections. Because EL is a front for all manner of dodgy interests who himself brings no shine to the jewel box, PF has to spend too much energy convincing citizens that the brass they see is gold. To exemplify this, let’s look at Roan. President Lungu’s ineptitude came out in the fact that he had no idea how to win Roan. He had no personal strategy. He depended entirely on what the campaign team decided. That team ill-advisedly decided to show off and throw money at an angry town and the President went with it. When it came to personal clout, EL was beaten hands down by Kambwili. He arrived in a town in which Kambwili is king and thought he could help the ruling party candidate by insulting that king and dancing. So he insulted and danced and insulted and danced some more. The result of that is what has PF members in deep mourning today. It would seem to me therefore that the PF should think a little beyond – let’s win back our prodigal sons if they want 2021 to be easier. Point is Kambwili will probably not have the appetite for going back to PF just to carry EL’s dead weight again. My sense is the frontier that the PF are scared to broach is the one that is most strategic for 2021. They need to lose EL and replace him with someone who can convince Zambians he can steady this country. EL has nothing more to give than he brought to Roan. That should be a depressing thought for PF. CK is also a threat to the stability of UPND. Milupi is full of talk and hisn party has brought nothing to the UPND. GBM has also brought nothing . He had promised to bring the BEMBA but UPND has not won a single seat in the North. Nevers Mumba also tried but brought nothing to UPND. Knowing HH, he has already shifted camp to CK and ignoring GBM and Milupi. But remember , not even HH can handle CK because CK is full of himself. He will rock the UPND camp to confusion. WATCH the space. Chi Laura, chilalemba, no jokes. Real stuff, straight to the point. Laura, you have nailed it all. The truth pains. They are still in shock, it’s still hammering them on the head badly. It will take months to recover. There not themselves from plot one to the grassroots. God forgive, some, might be on high blood medication. It has hit them badly. Imbwili ni mbwili. Tayangala. Tepapa. Imbwili yapita. For what ever reasons the comments are directed at HH he is not prominently mentioned in the article WHY PF NEEDS THE ALLIANCE DESTROYED. other reason why kambwili won Roan is because he was over insulted by the of. upnd is very cruel, useless and tribal,they beat bemba and nyanja speaking people and burn their houses to ashes in southern province after the final announcement of 2015 presidential by-elections. ndc-kambwili is far much better than upnd-hh wamuyayaya come 2021 hh will lose nafuti nafuti. truly kambwili will be a better presidential candidate in 2021 elections than hh because kambwili knows how to speak and attract people than hh who sold mining company during the time of fredrick chiluba as a president. Unfortunately the truth pains, Laura is right. The difference between ECL and HH in 2016 was 105 thousands votes. This could be estimated to two urban constituencies. That time, ‘charm Leopard’ plus others were for EL but most of them have left and went with them their follower. Its not rocket science to analyse and arrive at a possible conclusion… Unless one just chose arrogance. Ukwali insoke twakwafwile Bantu..icisakanya ecikubusha…nakabili icipuba baimwena kuntampulo..
the only opposition party in zambia that can win general elections in fulture is ndc and kambwili the rest opposition parties have failed to win and are just wasting their time especially kulila lila kumbele party upnd. no alliance has worked in zambia during general elections? our incoming president kambwili is not cheap to be used by hh in the 2021 elections. hh is mr kalusa, he has lost elections 5 times ,in 2021 hh will lose again and kambwili is likely to beat hh come 2021,we have had alliances in zambia before but not even one has worked.simple question who is the president of this so called alliance is it honourable kambwili or mr kalusa (hh) ? another question who is the vice president of this so called alliance is it honourable kambwili , chi gbm or mr mr kalusa ? third question are the two political parties in this so called alliance going to share constituencies where to field mp candidates, mayor candidates or ward candidates equally in the 2021 general elections? fourth question can the ndc party allow to be swallowed or used by the party like upnd that has been losing from the time it was formed in 1998 ? fifth question is mr kalusa (hh) going to be the running mate of honourable kambwili in 2021 general elections when he refused to be the vice president of our late beloved president michael sata m.h.s.r.i.p during the pf -upnd alliance ? sixth question if hh refused to be used by a great man of action mr michael sata is it easy for mr kambwili who was once a minister and a hard working mp to become so cheap to be used by hh in the 2021 general election who has never been an mp or councilor just because hh has more money than kambwili ? seventh question is our honourable kambwili going to sell ndc to upnd and not participate in the 2021 elections and let us down the supporters of ndc on the grassroots ? eighth question can chi gbm be happy to be taken over by honourable kambwili as a running mate of hh during the 2021 general elections? ninth question is hh willing to be the running mate of honourable kambwili during the 2021 general election ? tenth and last question who is the leader of this so called alliance ? PF u won’t manage to destroy the alliance. Instead of PF correcting their mistakes they are thinking of stupid things . This is how senseless PF manifests itself in this crisis. However what do you expect from the likes katondo Street thugs . They have never been to a grade 5 class they all dropped off from primary level. Including their leader kasaka ka ndalama. HH and CK is a big threat to PF and ECL. Too many taxes,delayed grants, bursary money, removal of meal allowances,??? PF government please pay UNZA,CBU,Councils, Trades Training Institutes, Zampost etc…their monies; therwise things are bad on the ground. Water is labeled blue until when it is contaminated that’s when it appeares green and at this point it is considered to a part of the waste….unless it is purified by heating on red hot fire it will allowed to go down the drainage…from blue to green next will be orange/red… Ndeleloleshafye.